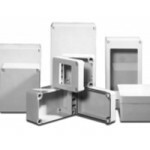 Box Clever Components have been an authorised distributor of Hammond Manufacturing Enclosures since 2007. 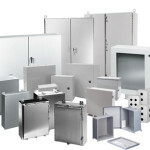 Hammond provide thousands of different enclosures from small electronic cases and operator interface enclosures to industrial enclosures. Industrial enclosures can be floor mounted, freestanding or wall mounted suitable for indoor and outdoor use and available in all sizes. 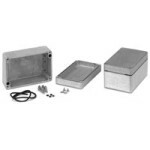 If you’re looking to use enclosures in a harsh environment we can supply Hammond corrosion resistant enclosures manufactured in a range of materials including stainless steel, aluminium and fibreglass reinforced polyester. 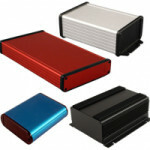 Our enclosure experts can help guide your selection depending on your end use. 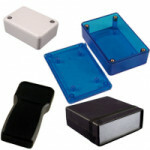 All our enclosures can be modified to your bespoke requirements using our customisation services. All of these products, services and a wealth of experience and expertise are just a phonecall away, so whatever your requirements call Box Clever Components on 01525 852137.